The Russian-based Fight Nights promotion wasted no time in pivoting from its 45th event to its 46th offering. 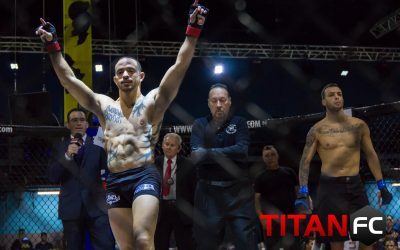 Fight Nights Global 45 took place just last weekend and featured a win for veteran Vener Galiev in the headlining bout and an upset loss for UFC veteran Ivan “Batman” Jorge, who fell via knockout to Akhmet Aliev in the co-main event. Now, one week later, the promotion returns with another big name — Bellator veteran Alexander Sarnavskiy — and an intriguing heavyweight contest featuring up-and-comer Mikhail Mokhnatkin and seasoned veteran Alexei Kudin. 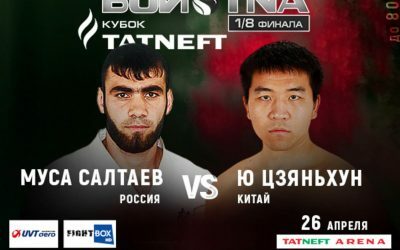 The 26-year-old Mokhnatkin is viewed as a top light heavyweight prospect, but he’s venturing up a weight class for this bout with Kudin. The combat sambo specialist debuted with a submission loss in 2010, but he has gone undefeated through his last nine bouts, with eight wins and a draw. Mokhnatkin, a member of the Fight Nights Team and Sambo-Piter, has remained active in combat sambo, taking home the championship in the 100+ kilogram weight class at the 2016 Russian Combat Sambo Championships. 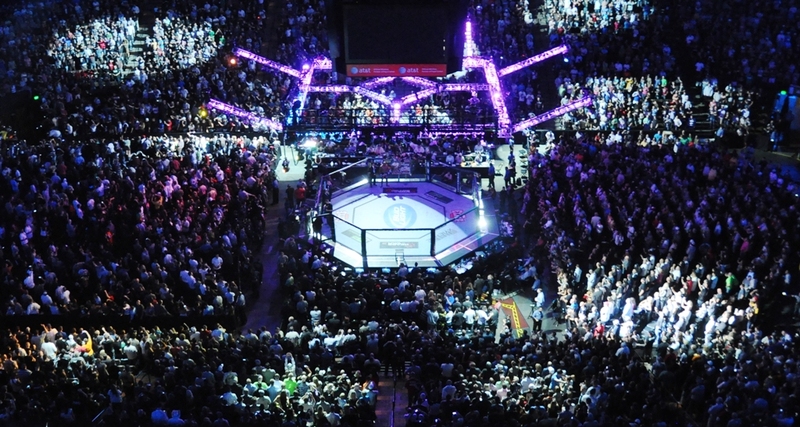 In the world of MMA, the young Russian fighter has already notched several notable victories. 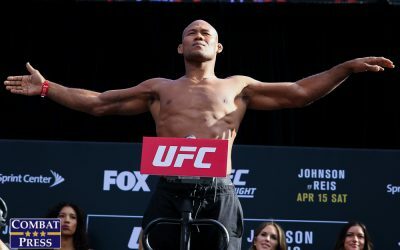 His first victory came against fellow prospect Artur Astakhov, he landed a devastating liver shot that led to a submission-by-strikes victory over Strikeforce veteran Valentijn Overeem, and his most recent win came in the form of a first-round submission finish of UFC veteran Ednaldo Oliveira. Mokhnatkin also fought to a draw with recent Rizin combatant Jiří Procházka. The up-and-comer is already a well-rounded fighter with plenty of experience against veteran opponents. Kudin is just 31 years old, but he has been fighting professionally since 2002. The Belarusian fighter, unlike his counterpart, is a natural heavyweight. 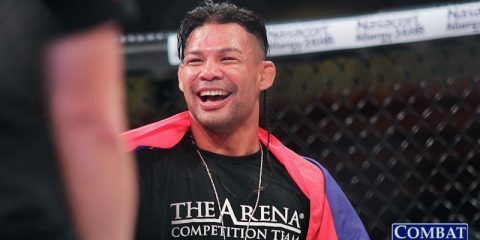 Kudin is a journeyman fighter whose most high-profile appearance in a well-known American promotion came in a losing effort at Bellator 83 in 2012. 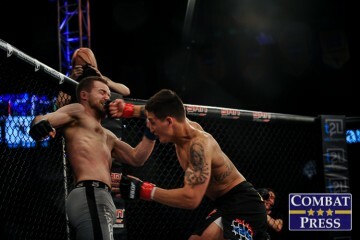 He suffered a decision loss to The Ultimate Fighter alum Mike Wessel on the preliminary portion of the event. Kudin has been a solid but unspectacular fighter when competing closer to home. He has tallied wins over Konstantin Gluhov (twice), Andreas Kraniotakes, Travis Fulton and Baga Agaev, but he has fallen to the likes of the aforementioned Wessel, Sergei Kharitonov, Alexander Volkov and TUF alum Jeremy May. Kudin has picked up 16 wins via strikes. After competing in 209-pound catchweight contests against the aforementioned Oliveira and his previous opponent, Donald Njatah Nya, Mokhnatkin is taking the step up to heavyweight against Kudin. The young competitor has all the skills necessary to finish the fight, but his biggest obstacle might be Kudin’s size. The southpaw will have to watch out for Kudin’s powerful striking attack and take Kudin to the mat, where Mokhnatkin presumably holds the biggest advantage. Mokhnatkin’s history of success against established veterans bodes well for him entering into this contest with Kudin. The veteran Kudin could always land a knockout blow, so he cannot be counted out, but Mokhnatkin has the patience to work his grappling game and search for the submission. Kudin is not an easy out, though, so Mokhnatkin may be forced to settle for the decision victory in this contest. Horseshoe Hammond Casino in Hammond, Ind. The inclusion of women’s strawweight and bantamweight divisions in the UFC has caused a lot of flyweight ladies to shift weight classes. Hoosier Fight Club’s Pearl Gonzalez is one of these ladies. After climbing into consideration for the flyweight rankings, Gonzalez dropped to 115 pounds to increase her chances of a future Octagon appearance. That journey continues at Hoosier FC 28, where Gonzalez meets sub-.500 fighter Katie Casimir. Gonzalez debuted in 2012 under the Ring of Combat banner, where she suffered a majority decision loss to Munah Holland. She moved to the XFC, where she scored a first-round submission win in her promotional debut and then captured the vacant XFC women’s flyweight crown with a third-round submission finish of current UFC fighter Cortney Casey. The fall of the American wing of the XFC led to a quiet 2014 for Gonzalez, who never was afforded the chance to defend her crown. Instead, she moved on to the XFO and picked up a decision win over Tyrea Nicole Duncan. After a submission win in the Xplode MMA cage, Gonzalez returned to the XFO and added her first TKO victory when she stopped strawweight prospect Valeria Mejia. The 29-year-old has been training in martial arts for much of her life and was already part of a pankration team by the age of 12. She has trained at Combat-Do and with the San Diego Combat Academy. 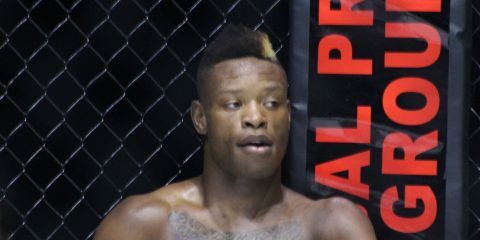 Casimir, another former flyweight, is a Las Vegas-based fighter with an underwhelming 2-3 record. She won her pro debut with a submission finish of Brittany Howard, who is now 1-4. Casimir lost her next three fights, including stoppage defeats at the hands of Alida Gray and Brianna Van Buren. She finally got back in the win column as a strawweight when she scored a 72-second TKO finish of Tiffany Alexander. Casimir, who also has an amateur loss to Stephanie Eggink, has been inactive since 2014. Gonzalez had an active 2015, but this will be her first fight of 2016. 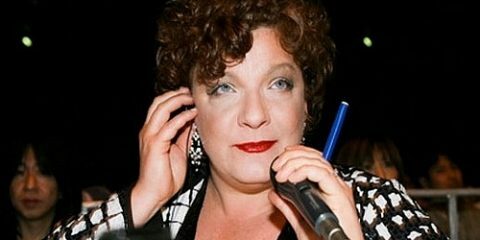 Casimir has been on the sidelines even longer, and she seems like little more than a sacrificial lamb to give Gonzalez another win on her resume. Despite Casimir’s losing record, the Tapout Training Center product has never been submitted. Gonzalez might just change that. There never seems to be a shortage of interesting bouts — or fighters with ridiculous winning records — in Brazil. Jungle Fight’s 86th effort delivers plenty of both. 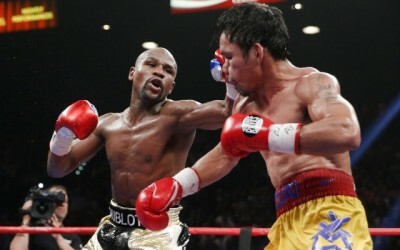 The card hosts title contests in the middleweight, featherweight and bantamweight divisions. The bantamweight championship bout features the man with the ridiculous winning record, Josenaldo Silva. Silva, who is currently 24-4, is set to challenge Maike Linhares for the 135-pound belt. If the name Maike Linhares sounds familiar, it’s probably less likely from his title win over fellow prospect Rodrigo Praia at Jungle Fight 81 and more attributable to his appearance at the Rizin Fighting Federation’s 2015 year-end event. Linhares, fresh off his championship victory, clashed with Soo Chul Kim at the event. The pair fought for 20 minutes and Kim emerged with the decision nod. The fight, which took place in Japan, marks the 22-year-old’s lone appearance outside of Brazil. In his homeland, Linhares is perfect through nine fights. He has stopped veterans Victor Hugo Silva and Praia, as well as formerly undefeated prospect Nathan Batista. The Constrictor Team fighter is equally adept at securing the finish with his fists as he is with claiming the win on the mat, typically via a choke submission. Silva’s head-turning 24-4 mark started out as a 2-2 record through the end of his debut year in 2008. 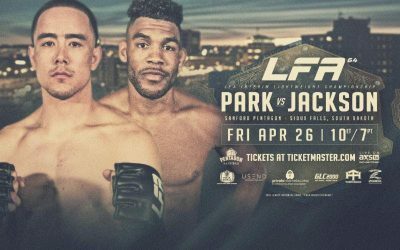 The 29-year-old has lost just twice in his last 24 outings, and those losses came in back-to-back bouts in 2011 against future UFC fighter Dileno Lopes the far less accomplished Dalton Mello Lima. Silva would avenge the shocking loss to Lima roughly a year later. “Naldo” is now riding a 16-fight winning streak, but his resume is seriously lacking in notable names. 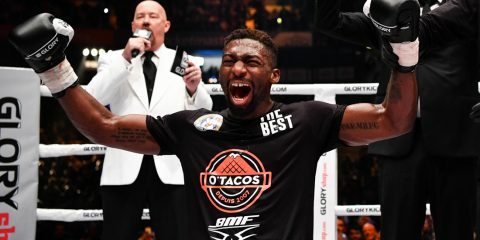 He has been slated to fight Leandro Higo and Bruno Dias, both of whom would have qualified as his toughest test to date, but both fights were scrapped. 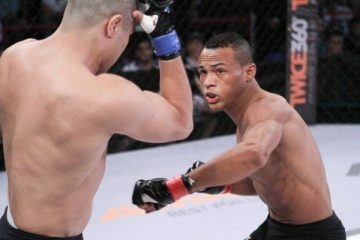 The Evolução Thai product does hold victories over veteran fighters Maikon de Carvalho, Arivaldo Silva and Anderson dos Santos. He has scored 15 of his wins by some form of knockout. 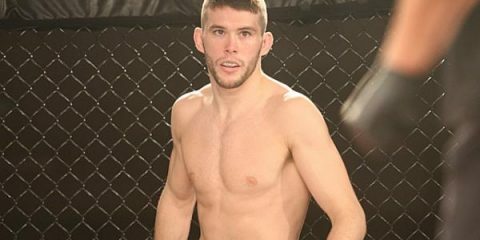 Silva was signed by the Texas-based Legacy FC last year, but he has yet to make his promotional debut with the company. Silva appears to be another fighter with an impressive record, but only at first glance. Linhares is the young champion, and his skill set gives him a number of routes to victory over Silva. Linhares will be fighting on home turf, too, which should help his odds. Linhares and Silva could combine for fireworks on the feet. Meanwhile, Linhares should rule the ground game. 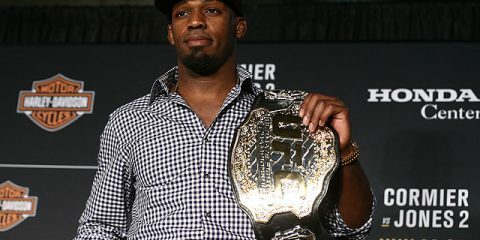 It wouldn’t be surprising to see the bubble burst on Silva’s big record now that he’s set to encounter a fighter who appears to be a fellow legitimate prospect. The 22-year-old Linhares will bounce back nicely from his Rizin loss and take the submission victory over Silva to successfully defend the Jungle Fight bantamweight crown.